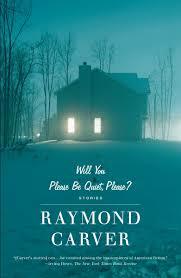 It instantly brought to mind one of my favorite short-stories of all time from arguably the greatest short-story writer of all-time, Raymond Carver’s “Bicycles, Muscles, and Cigarets” from his Will You Please Be Quiet, Please? (fitting words for this time in my life) collection. Like Rash’s “Badeye”, Carver’s masterpiece is also about a father and son, and the secrets both adults and children keep from each other. Carver’s harried, cluttered, suburbia of 1950’s California seems a far cry from Rash’s brutal yet beautiful Appalachia of the same time period, yet the stories share universal themes, and as a new father with a newborn son, I can appreciate them on an added level above just their brilliant craftmanship. 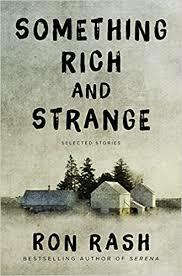 This entry was posted in Books, Inspiration, Language and tagged Appalachia, Badeye, Bicycles Muscles Cigarets, Childhood, Fatherhood, Fathers and Sons, Memories, Raymond Carver, Ron Rash, Short Stories, Something Rich and Strange, Suburbia, The 1950's, Will You Please Be Quite Please?. Congratulations on becoming a Dad! I must have missed the announcement on Facebook — haven’t been spending a lot of time there lately. I hope baby and mom are doing well. From this post, I see you are already suffering from sleep deprivation. Totally normal, however frustrating. This too shall pass. At least you’ve got some excellent reading to help you through this! Thanks Cinda! Everyone is doing great. Wow David!!!!!!!!!! This is the biggest news imaginable, and I only just found out now!!! CONGRATULATIONS to you and your wife on the glorious birth of your baby boy, and best wishes!!!!!!! !